The Canadian musician draws from her Afro-Caribbean roots and folk-festival upbringing to create genre-bending music. 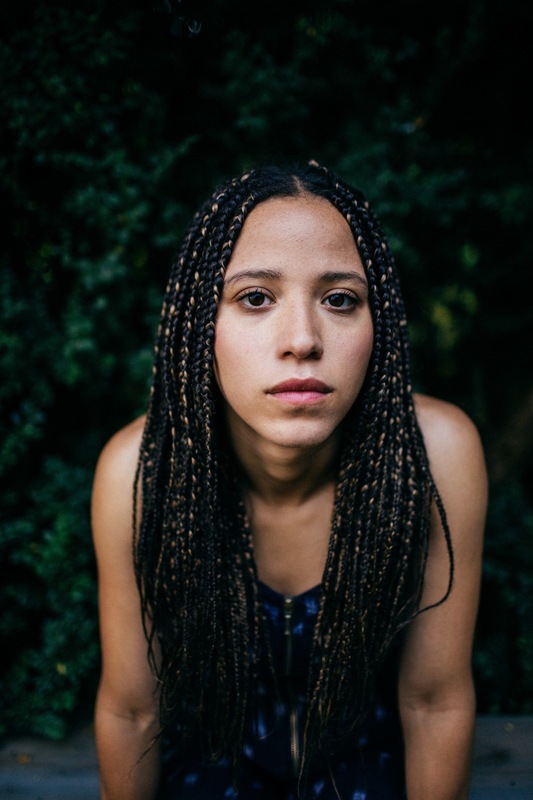 When Kaia Kater picked up the banjo at age 11 she was unaware of the instrument’s African origins. Born and raised in Montreal, she grew up around folk music. For many, its sound is often synonymous with rural southern white America. But, in fact, the banjo was born in West Africa, originally a handmade gourd instrument with a fretless neck brought to the U.S. by way of the transatlantic slave trade. In those days, it was a plantation instrument used by slaves to stimulate dance and community. Yet, through minstrel shows in the 19th century, white performers plucked the banjo from its black folk traditions and brought it to a mainstream audience. Over time, its popularity amongst white southerners grew and slowly its African roots withered from the instrument’s popular narrative. As a child, Kater spent her summers running around the folk festivals her mother ran. Her grandfather was a luthier. Holiday dinners were accompanied with family jams. Her attraction to the instrument was only natural. But as a black woman, she harbored some doubts. “When I was a kid, I didn't tell people I played the banjo because it had such a negative image of hillbillies and the Confederacy,” she told me over the phone from her home in Toronto. When Kater did learn about the banjo’s roots, it added depth to her work with the instrument. A vivid storyteller, she uses Southern gothic themes of narration to address poverty, despair, and alienation in a voice that is low and soothing. Rooted in the Appalachian clawhammer style of playing — an up-picking motion by the fingers and a down-picking motion by the thumb — Kater’s music explores the new possibilities of old-time music. Her sophomore release, Nine Pin, illustrates this. The FADER spoke with Kater about the banjo’s complicated identity, her time spent studying Appalachian music in West Virginia, and creating art as a black woman in a white space. What was your childhood like in Montreal? Growing up in Montreal was very cool. I went to a French public school so I spoke French from a really young age. It was kind of a bubble, growing up in that city because it felt very multicultural. It's also interesting in terms of language and culture, and so it was a very rich environment. I moved out of that to a few different places in rural Canada, and it was a bit of a shock to realize that Montreal didn't really represent the rest of Canada as much. I know growing up your mother was running folk festivals. How did that affect your childhood and influence you? She started running the Ottawa Folk Festival when I was 12 or 13. I would hang out at the festivals and volunteer. I would bug people for lessons and just kind of hang out and it was a lot of fun. In retrospect, it was something that was really different that I got to do with my summers that nobody else really knew about or was aware of. She's a really big folkie, so we were listening to Joni Mitchell and Nitty Gritty Dirt Band and Bob Dylan and Neil Young. But bluegrass really started coming around in 2002 or so — when I was about eight — and has been pretty solidly in our lives since then. Were you listening to anything outside of these genres? Well, my dad is from Grenada, and around that same time, he was in Vancouver. His influence musically on my life is a bit more tangible because he would send me those MP3 discs, where you could pile on like 160 songs onto one CD. He would send me a whole bunch of those and he would fill it with music he thought I should know. So I got really into hip-hop when I was younger — the Roots, Mobb Deep, and Erykah Badu. Da La Soul was a big one. I personally feel that I listened to more hip-hop. But I also did accept bluegrass as a thing that I liked and was a fan of. It wasn't just my mom dragging me around. I bet you were exposed to a million different instruments as a child. What attracted you to the banjo and the clawhammer style of playing? I don't know. My fourth-grade teacher was a bluegrass fiddle player, weirdly enough and she had a bluegrass band that would play with at the local music venue every Friday afternoon. My mom would pick me up from daycare and we would go watch my teacher play. It was kind of weird. I'd see her teaching timetables and then in the afternoon I'd see her shredding a fiddle solo. There was a banjo player in the band who saw me and I guess I said something to him. I don't remember but he somehow knew that he should give me a banjo. So he got one of his old banjos and gave it to my mom and was like, “Hey, this is for your daughter.” She brought it home, and I was able to get some lessons. My suspicion is even though to me [at the time] the banjo represented Confederate America, there was something in the banjo tonally that I really liked. It was a surprise for me when people were like, “Oh yeah, by the way, the banjo is not a white instrument, it comes from West Africa.” It was brought over by the transatlantic slave trade and it belongs just as much to people of color as it belongs to white America. I felt redeemed because for a really long time, especially when I was a kid, I didn't tell people I played the banjo because it had such a negative image of hillbillies and the Confederacy. I was really embarrassed to tell anyone I played. No, I totally hear that. Also, as a woman of color who was highly into bluegrass and folk growing up, I didn't tell anyone that's what I listened to because it was considered white people's music and it was highly stigmatized. Later in life, I saw this documentary that kind of exposed the origins of the banjo and it rocked my world. Wow. Was it Béla Fleck's Throw Down Your Heart? So I guess being a banjo player in high school didn't give you any clout? No, it definitely did not. After high school, you went to Davis and Elkins College to study Appalachian music in West Virginia, which is so far from Canada. What made you go there? After I graduated high school I pretty much just wanted to get my performing chops up. I was originally supposed to study International Relations. I had been accepted into a program and then at the last minute, I was like, This is not what I want to do. So I moved back to Montreal, and I was a waitress and playing whatever gigs I could. I applied to [a summer program] at that college. I sent in the first EP that I had ever recorded, Old Soul. I didn't hear back for a really long time so I just assumed that I hadn't been selected and then I got a Facebook message from one of the directors of the program. He told me that the college wanted to bring in a bunch of young string players to study and get a four-year degree for basically free in exchange for us playing old-time music for them as part of a representation of the culture of West Virginia — in the same way that someone would have a football team or a cheer team to represent that school. They were able to offer me a scholarship that was really compelling. For me it synthesized a lot of things: it synthesized education and music which I didn't want to quit. So come September I was enrolled. It was the beginning of a really challenging but rewarding experience. I think I learned a lot about race there and what race means in America. And a lot about the music. I really don't think I would be as strong of a musician if I hadn't gone there. What did you learn about Appalachian music when you attended Davis and Elkins college? How did it make you a stronger musician and how has it affected the music you make now? I think singing so many songs about trumpets heralding the arrival of death [has] committed me to not being a lightweight in my writing, to not shy away from those concepts and to embrace the gothic nature of Southern poetry and Southern writing. I've gotten the privilege to spend the time there so whatever I create from now on has to have weight. Or else what's the point? While you were there, the school commissioned you to write “Rising Down,” which is one the more political songs off your second album, Nine Pin. It speaks quite candidly of the black experience and police brutality. How did this song come to be? I was commissioned to write it by the head of the art department in our school. The only other black student at the college was a tap dancer named Katharine Manor; they put us together [with] this idea that I would be able to create the musical part and she would be able to create the dance part of it. They paired us with Laurie Goux, an Afro-Caribbean dancer from Chicago. We were kind of put off by the fact that a white art department was like, Let's put all these black people together in a room and make them create art. That's not how that works, but it was good in the end. I am sure as a woman of color you go through the same things. There are just spaces with other people of color where you just feel much safer. Of course. I completely feel that. And I bet, on such a white college campus, that must have been such a safe haven. Yeah, we had a lot of conversations. I think the lines between teacher and student melted away. Laurie would bring in documentaries for us to watch. She really took it upon herself to teach us about the history of being black in America and what it means to be black women and all those things, both spiritually and politically. It was a really sacred time for me. Over Thanksgiving, she asked me to go home and turn in something that I wrote. It was around the time Tamir Rice had been killed. Such a young person’s future being cut off so senselessly... I think the mixture of sadness and anger and fury just all fell out at that point. I remember just being like, I am going to let myself be open to the pain. I looked up the tuning of ngoni, which is an African ancestor to the banjo. I tuned my banjo to that same tuning and [“Rising Down”] came immediately. It felt crazy because I will work on songs for months but for this one, it just felt like someone was like, Tune this down to a sacred tuning and let us talk through you, and that was it. I recorded it and I brought it back to school and that was “Rising Down.” It's a 10-minute long modern dance piece about Black Lives Matter and police killings. When you guys presented this to your school and all-white art department what was the reaction? There was a lot of shock. I think there was so much anger in our piece because we tried to showcase elements of fear and feelings that were raw and unfiltered, there was a bit of responsibility at the end [for these white people]. We were bringing up things that for a lot of them had gone unnoticed or they had forcibly ignored. It seems that with your album Nine Pin and tracks like “Rising Down,” you have put an emphasis in telling stories in your songwriting that speak to the narrative of people of color, which is a shift from your debut album Sorrow Bound. Well, if I can be very frank with you: I don't think I have ever been interviewed by another woman of color. Yeah, and I have been thinking about this a lot. The intention behind the record was a very multifaceted thing. It was about telling our stories, telling stories of people of color, and it was also about making good songs for people to hear. As soon as I released the album there was a lot of excitement because there aren't many people of color in old-time, Americana, or bluegrass. I was following in the footsteps of the Carolina Chocolate Drops and a handful of people that I really admired and respected. But it was challenging for me. At the end of it, I felt very defeated. It felt like there was a very big difference between me putting my art out there in such a vulnerable way versus the way it was being received. I felt like my art was trivialized a bit. I think it's because so many of my audiences are white. I don't want to resent them, but I think at a certain point it's hard because there are elements of you that wonder if you’re disrupting the narrative and are pushing music forward or if you are just putting yourself in a space where your value is directly related to their perception of you? So are you only there to make them feel more liberal or to make them feel more comfortable with not really doing anything about racial injustice? It’s like, If I go see a black person perform, does that excuse me from having to look at the fact that I directly benefit from a society that oppresses people of color? It’s like, I listen to you so that makes me not racist. I reviewed your album, that makes my publication inclusive, instead of looking at bigger systemic issues that contribute to the lack of representation of people of color within this genre and the almost-erasure of our history within this music. Yeah, exactly. So I am still navigating that. I would love to get away from a space where I only perform for the majority of whom I feel are privileged white people. I want to be able to collaborate and access spaces that are more cathartic for me similarly to the “Rising Down” experience. And that's my goal right now with all this. With that in mind, now that you've graduated and you're out in the world as a professional and touring musician, how has that ideology manifested in the way you operate in this new phase of your life and how you approach things? I think it's a constant reorientation. It's like constant navigation. I think it’s an awareness of who I am playing for and what I am trying to get across. My friend reminded me that like people don't just come to shows for the hell of it, they come to shows because they are lost or they are wondering or they are curious. Music isn't about music, it's about humanity and love and suffering and loss. 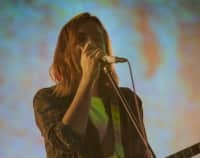 What I want to keep alive at my shows is the fact that we are all going somewhere together and the safety is that we are going together with the guide of this music and this song. Old-time music has a very strong emphasis on community. Do you feel you pull from that in a way? Yes, very much so. It's funny because old-time music is not a performative music, it's a music that people use to play together after a day of work or at a party. It's a music that people would use to connect with each other because you play in a circle and you face each other when you are having a jam. And old-time music especially is not hinged on solos like bluegrass is, it's hinged on all of you entering this kind of trance-like state, where when you get into a really good grove, you all are playing the same thing, it's almost like meditation. It's funny for me to bring it to a stage and be a performer playing it out for people. I don't think for me it carries the same weight. I have traded off the jam and the community trance thing for the stage and to be able to receive the same thing from the audience.